Many of us want to improve our creative skills – whether it’s learning the basics of photography or mastering painting and illustration – but may not have the time to attend art classes. Using online videos, courses and tutorials is a simple and accessible alternative, and the good news is there are loads of options to choose from. But rather than sift through a maze of videos on Google, check out our list of nine quality online art tutorial sites that will leave you more skilled, rather than more confused in the areas of painting, drawing, graphic design, photography, animation and more. Most websites will require you to either become a member, pay a one-off fee or pay for each tutorial individually, but it’s usually a lot cheaper than paying for physical classes and almost every site offers a free trial or a decent overview of the tutorial before you buy. There are some free tutorials as well, and even a site that offers one-on-one live video classes. London illustrator and art director Joanna Henly launched her illustration for fashion video tutorials a year ago, and they're now available to buy and download. The tutorials include more than two hours of learning organised into chapters based on three main steps – drawing a basic figure, adding colour and finishing with pencil and ink. The tutorial also includes full Photoshop files for Miss Led’s artwork featured in the tutorial, a downloadable set of her Photoshop brushes to use in your work, and handmade textures to use in your own designs and post-production. Joanna, or Miss Led, is known for mixing traditional and digital techniques throughout her work – spanning clients in fashion, consumer and media brands such as Nike, Google and Ted Baker. 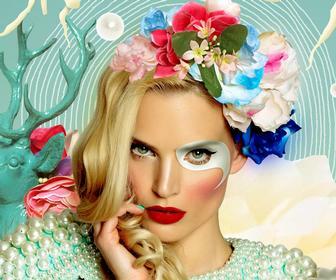 The Miss Led fashion illustration online tutorial costs £59.99/US$77. Although Twitch TV is primarily aimed at gamers, it facilitates live streaming video with chat so you can interact with whatever is happening – perfect for design tutorials too. 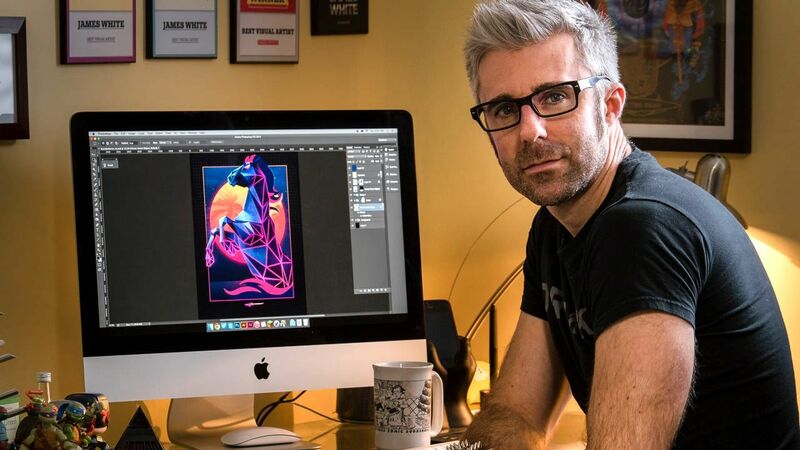 Canadian digital artist James White, behind Signalnoise studio, has picked up on this, and has just begun experimenting with Signalnoise Broadcast using Twitch TV. James used to run online videos, and is hoping to capture the same spirit and community with a new video series. The first episode is about painting vector artwork in Photoshop, specifically a Laster Axe, including how to create flat layers and remembering where your light source comes from. The video is rough and ready, with some lag and sound issues, but as James’ usual self, it’s conversational and everyone watching can be included. Make sure to follow James’ Twitter account to find out when the next Signalnoise Broadcast will take place on Twitch, mostly on Tuesdays and Thursdays. If join in to his weekly talks, just over an hour long, you’ll be joining a passionate design community while also learning fundamental skills in Photoshop, Illustrator, as well as discovering a creative voice and career. 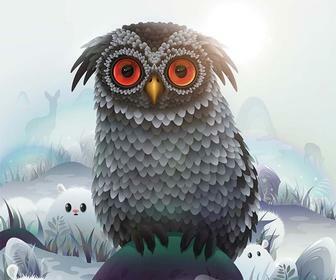 James has a Skillshare launching mid-February and is speaking at OFFF Barcelona. HowNow lets users engage in a one-on-one live video chat with a tutor as well as the choice to engage in a live group video class for usually a lesser price. 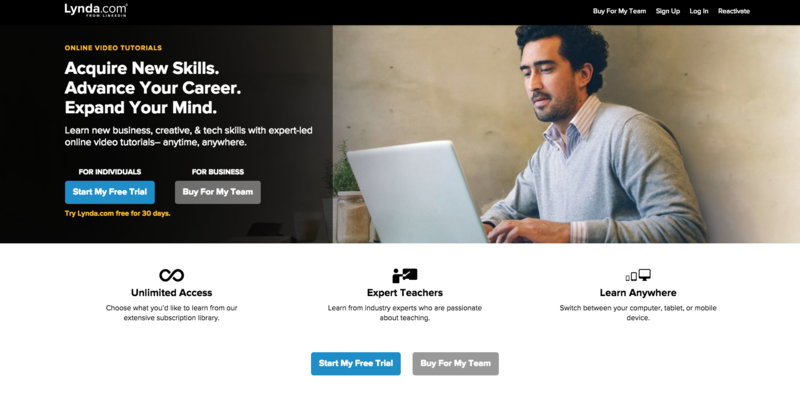 The website lets experts set up a profile with the topics they teach and their availability, and learners can automatically see this, book a lesson and join a live class. The experts set their own price, availability, class duration and capacity and can sign up easily as a HowNow service provider via the website. There is no set-up cost. All you need is a laptop, webcam and of course, the internet. Users can decide who they’d prefer to book with based on other user feedback. Information such as the expert’s experience, qualifications and what you will need to take part in the class can all be found before booking. Although the site offers a wide variety of topics, such as Japanese calligraphy and yoga, it does have a range of Photoshop for beginners tutorials, with prices ranging from £20 for a group video class to £80 for a one-on-one session. The class covers cropping, straightening photos, enlarging, distorting, and bending among other image modifications. You can try HowNow free for 14 days, or plans start from £22/US$30 per month. Udemy provides tutorials for those perhaps more interested in creative business flair and entrepreneurship. It includes not only courses in photography and graphic design, but also Excel, marketing, the use of body language and a whole lot more. Some online courses are free, such as HTML5 programming and Java, but others like the photography masterclass video will cost £200/$257. However you will get a 30-day money back guarantee. Each video has a star rating, helping you to decide what’s your worth your time. Some videos have 10 hours of content, split into sections covering a range of topics, and some are a lot shorter. Art Tutor is here to help you master drawing and painting from your own studio. When you become a member of Art Tutor you get access to all videos, and can watch them as many times as you like. Art Tutor also offers specific courses on drawing, watercolours, acrylics, pastels, oils and coloured pencils. A monthly subscription will cost £14.59/US$19, six month subscription £72.93/US$95 and a year subscription £128.20/$167. The website lets you easily search through videos, selecting which medium you wish to use, what your subject is, skill level and artist. Once you’ve created artwork as a member you can show it in the Art Tutor gallery and get feedback from other artists. The Virtual Instructor is another provider of drawing, painting and digital artwork tutorials to anyone at any skill level – and the good part is many of the tutorials are free. The Virtual Instructor also offers courses broken down into modules, each including a video and accompany ebook which are included with a membership. Find out how to draw faces using charcoal, pastels, ink or how to paint portraits using watercolour and acrylic. If you prefer to work digitally, The Virtual Instructor provides free tutorials on Adobe Photoshop, Illustrator and Flash. Joining The Virtual Instructor costs £14.64/US$19 a month, or £74.74/$97 a year after trialling for just $1. Lynda.com also has a focus on business, technology and creative skills. It offers hundreds of online courses in each subject of software development, design, web development, business and photography. You can preview each tutorial before you begin, and there’s a 10-day free trial. From there, the average monthly costs is £12.95/US$16, or £18.95/US$24 for Premium. 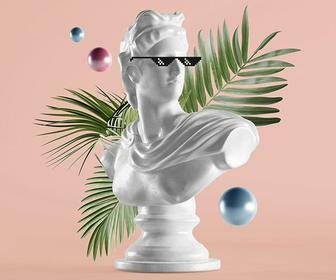 Within design topics, Lynda.com's online courses cover Adobe software, 3D animation and Maya render setup to name a few. Other topics available include travel photography, restoration photography and creating time-lapse videos. Skillshare offers bite-sized online courses offering skills on subjects such as design, typography, inking and animation. The videos are a lot shorter than other sites in this list, so provides an alternative for those who may onl have time for a quick and basic overview. 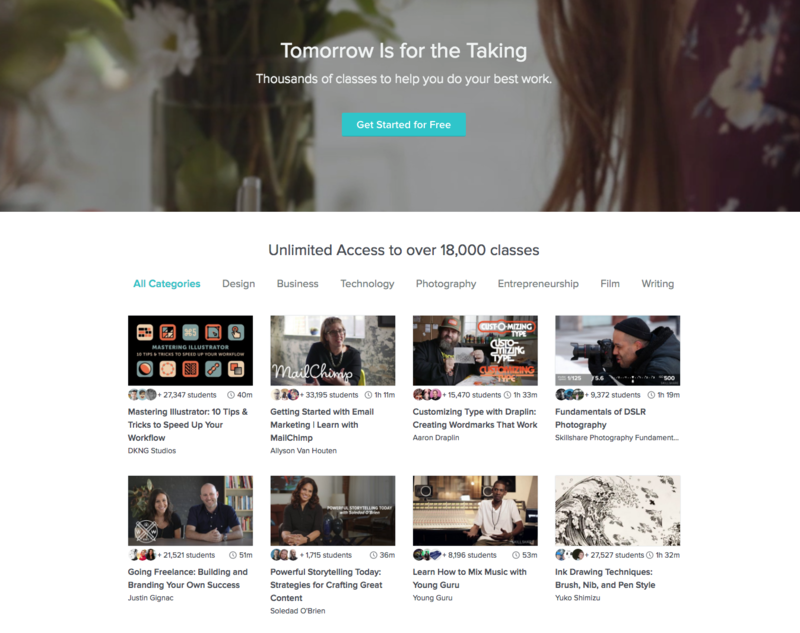 You can get a free version of Skillshare that includes videos and written tutorials, but if you sign up for premium you'll get access to almost 4,000 courses. Premium also gets you offline access. 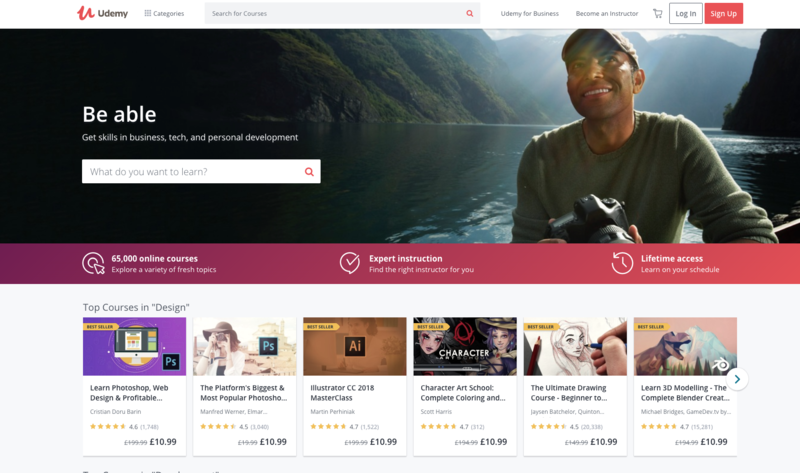 New customers can get two months of Skillshare Premium for free, after which it'll cost between £5/US$7 and £7/$10 per month depending on the subscription you choose. Craftsy covers a wide scope of crafts including knitting and home and garden. But don't let that put you off - it also has an extensive art category, offering drawing, painting and photography tips. You can purchase specific tutorials for ranging prices between £13/US$16 and £27/$34. You can watch a preview of the video first, and read up on the lesson plan so you’re well informed before purchasing. And of course there’s a free trial.